Click view quantity discounts button below to see price breaks (vendor account login required). Price breaks spread across all LiteRays shot styles. 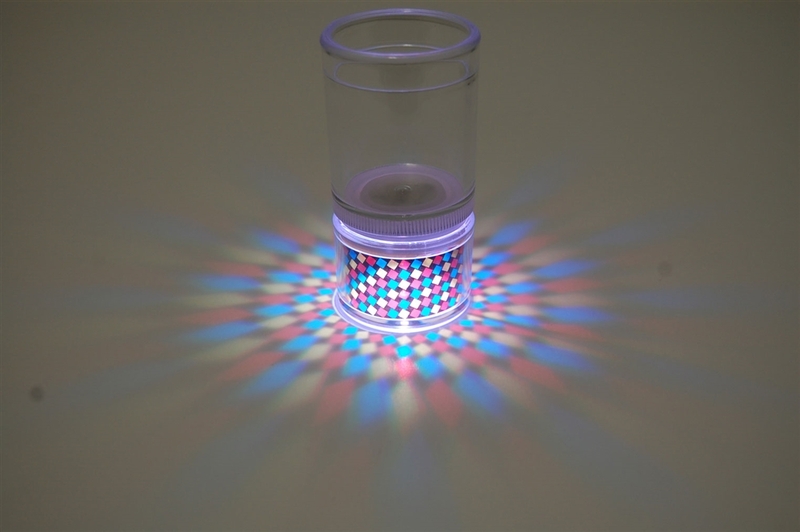 LiteRays LED projection shot glasses project 7 different dazzling colors: red, green, blue, light yellow, Cyan, pink and white. 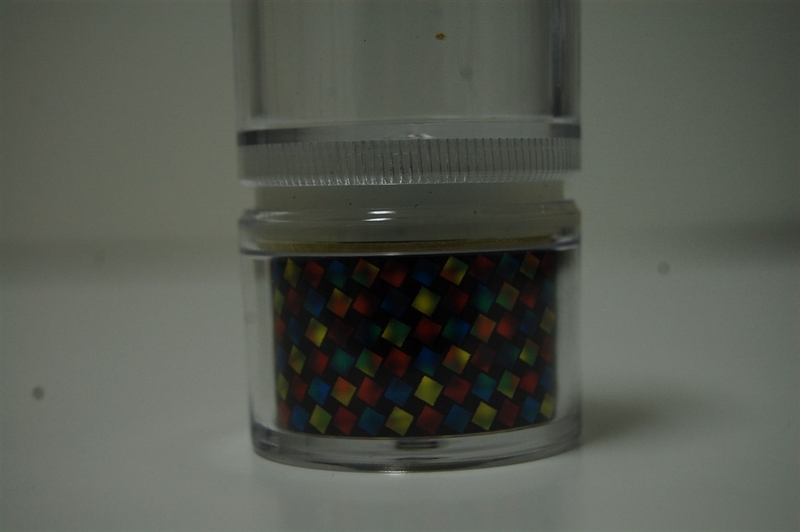 There is also a multi-mode color changing setting where the glass will slowly phase through all of the colors automatically. 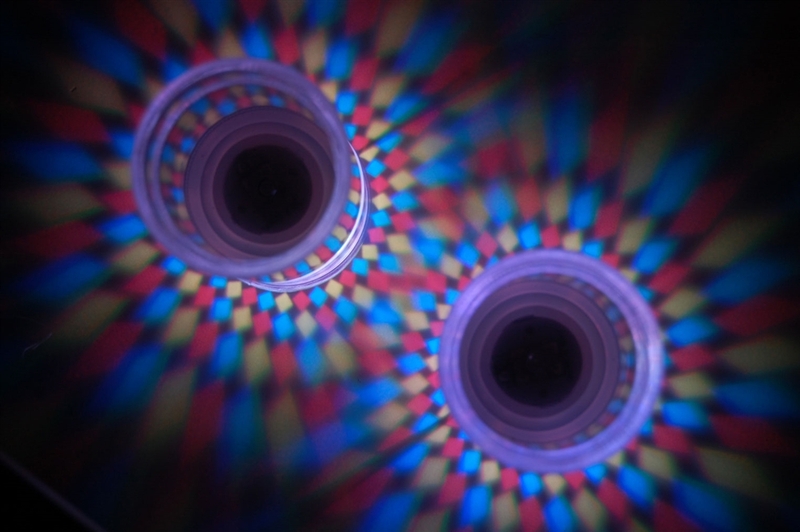 Simply push down on the shot glass to cycle through each color setting. 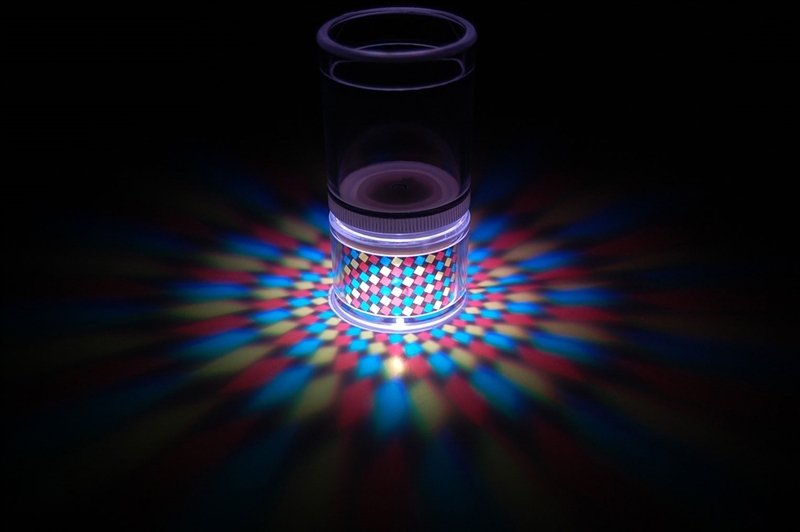 This particular model projects a spiral pattern all around the base of the shot glass. It runs on 2 common CR2032 batteries which are easily replaceable by removing the 2 screws and pulling away the silicone cover from the electronics. LiteRays are best viewed in low light to dark environments.